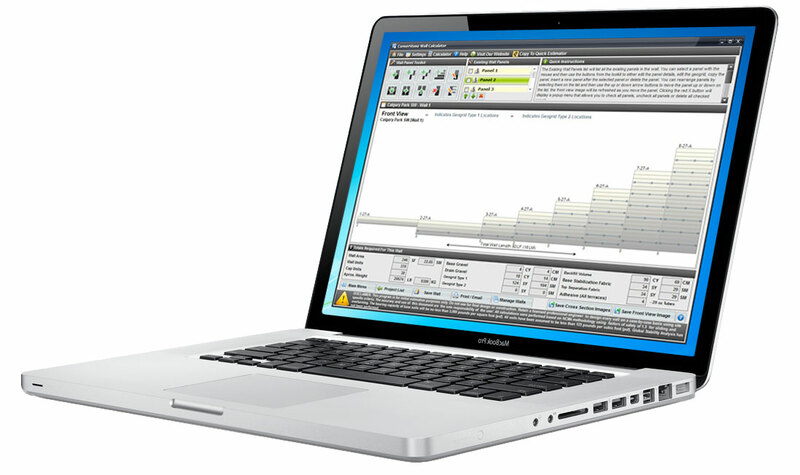 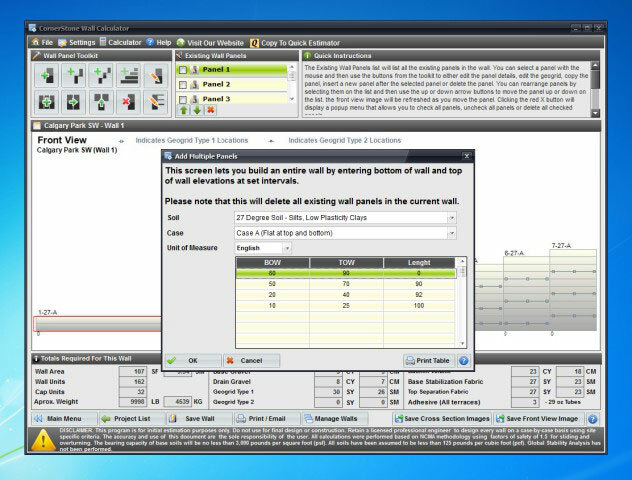 sing the CornerStone Retaining Wall Calculator software, save yourself time by simply entering your data to produce fast and accurate material calculations. 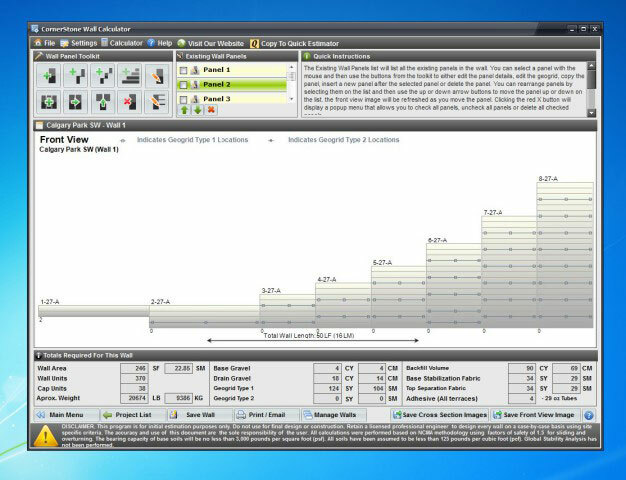 Packed with unique features, you are able to add multiple wall panels, edit geogrids, and add pillars or stairs. 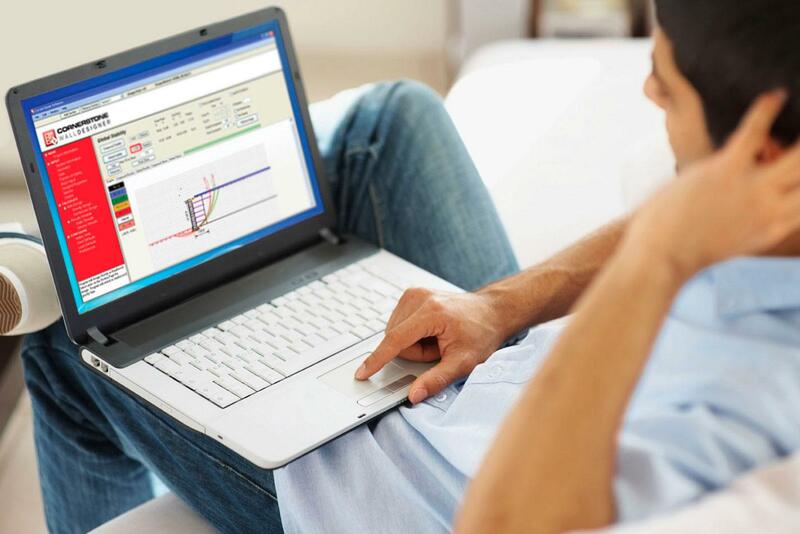 When finished, simply email or print your results! 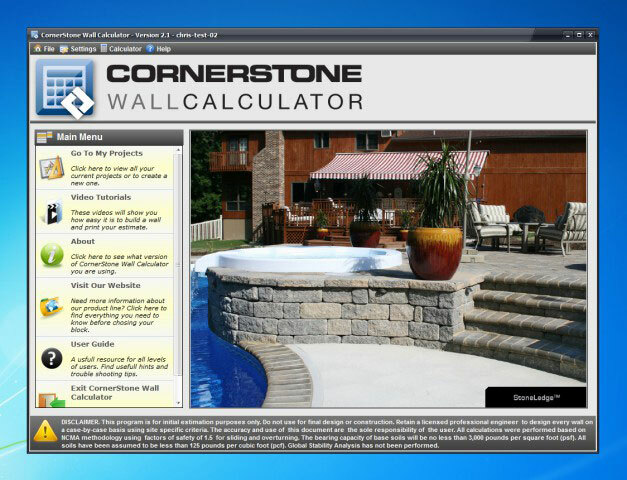 Enjoy our easy to understand and use training videos to quickly learn how to use the CornerStone Retaining Wall Calculator.